How will you replenish your food supply when it runs out? What are you and your family going to eat? If you plan to have a secret survival garden at your bug out location, this will make you ahead of many people during economy breakdown and SHTF. We are all aware that growing our own food requires a lot of work, however, it is crucial for survival during post-disaster. Take a look at this inforgraphic, read on, and get some help on how to grow a hidden garden that will serve as your source of food when SHTF. Are you ready for a natural calamity or an economic collapse and a food shortage after? Whether your answer is yes or no, growing a secret survival garden should be on the top of your prep list. It may seem farfetched but wouldn’t you rather be prepared than sorry? Few foods store well and whether it’s the post-calamity period or the present, processed foods aren’t good. Self-sustenance through plants is still the best way even in times of crisis. 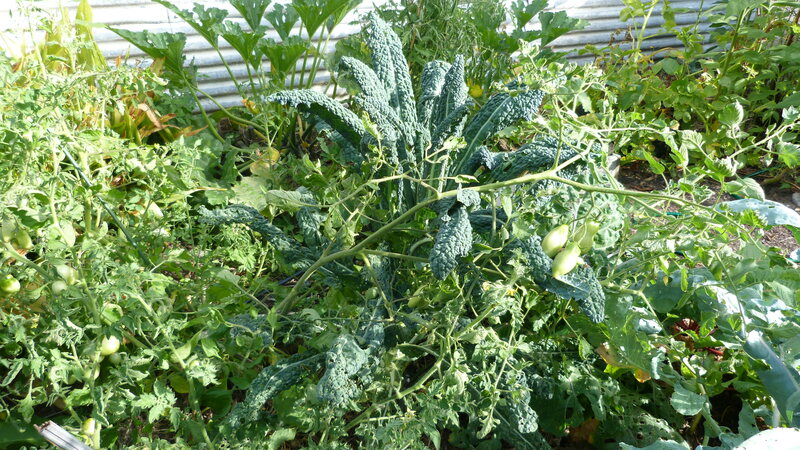 Find out how you can better survive with your family by growing your own food and learning to secure them smartly. These amazing playing cards filled with information on how to grow and sustain your garden! Grab these FREE cards here. Watching post-apocalyptic TV shows and movies got me thinking just how I would do in such a hostile environment. Besides not dying, of course, I wondered how my family would deal with the food supply. Being gardeners who grow our own food, I should feel confident. But as commonly depicted, panic drives people to take from others. Take it from survivalist experts, securing food supply should be a skill to learn and master. Learn to prepare and grow a secret survival garden here before a calamity strikes. Forget about a beautiful garden if you don’t want to invite pillage troubles over. In times of crises, the uglier a garden is, the less are the chances of detection. If you can hide your precious food source among weeds and inedible bushes, the better. Growing plant barriers around your secret food source would be ideal to deter anyone from foraging. Thorn bushes should be great plants to start with. An orderly garden will also call other’s attention. So it’s best to plant food plants in random and chaos. It would be great to group plants like the three sisters in corn, squash, and beans. It will both avoid detection and each plant will benefit from each other. Not all plants are good at hiding like tomatoes with attractive fruits to catch attention. Considering how precious planting space would be during these times, it’s important to carefully consider your plants. Carbohydrates are a good source of energy which is needed for survival and potatoes are essentially carbohydrates. Potatoes look a lot like any other plant with green leaves and occasional small white flowers. So grow potatoes in your survival garden since they blend well with other plants and even weeds. Bush beans are another excellent source of vitamins and minerals. What’s great with this plants is how they can look like other perennial weeds. The fruits are long and look like stalks which perfectly camouflage with other non-food source plants. Their roots are good nitrogen source as well which benefits other plants close to them. Unlike the regular potatoes which have poisonous leaves and berries, the leaves of sweet potatoes are edible. In fact, the leaves are a good source of vitamins and minerals, a much-needed element for self-preservation. The vines look a lot like ivy and other invasive climbing plants, no one will notice unless one takes a closer look. Blueberries have been growing wildly for so long now. They’re a good source of anti-oxidants and vitamins and therefore, recommended in every secret survival garden. 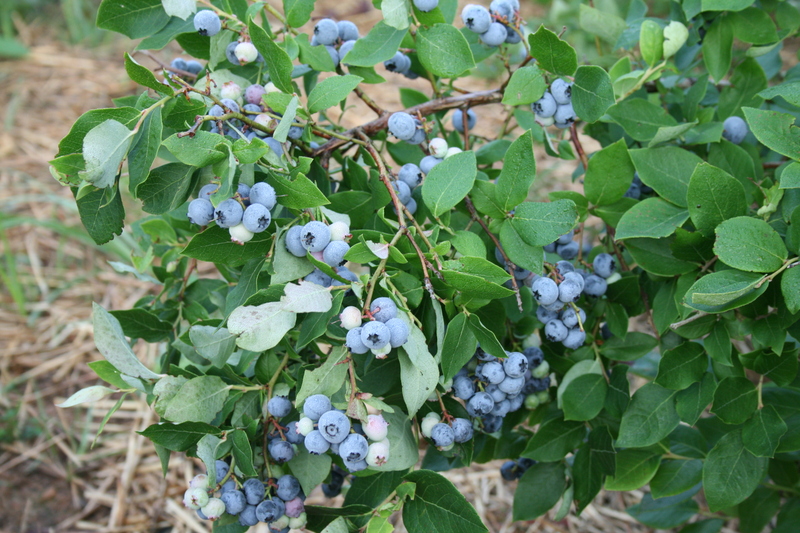 Good thing, blueberries grows easily and blends well with other small trees or bush. How about venture into some of different gardening with “Rainbow Rose Seeds”, grab them for free. Want to read the full article? Check it out on our sister site GardenSeason. In any critical situation, it is important to always stay as calm as possible. Well, this is my way of telling you not to get all anxious and panicky for what hasn’t occurred yet. Although, it’s perfectly smart to prepare for the unexpected. Don’t wait for any calamity and disaster and start learning some survival skills. Learn how to create your own secret survival garden! Do you make preparations for any emergency too? I’m interested to know your story. You can share it in the comments section below. Learn to identify a good food source in edible flowers as an important skill for survival preps!